Seriously, I have to ask. What in the world is going on with some of today’s hip-hop artists? 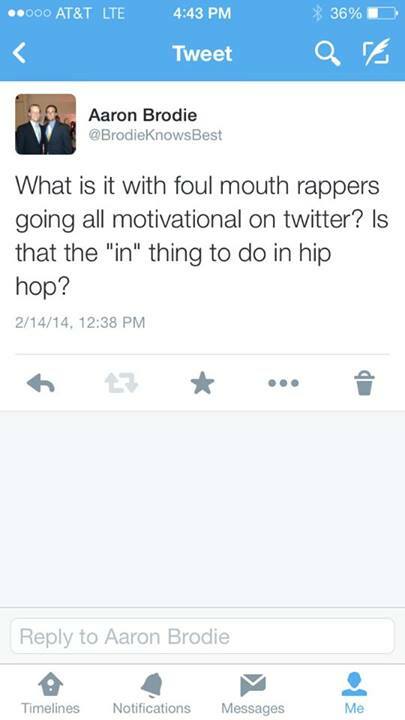 More specifically, why does it appear they use Twitter as a resume builder for job openings in motivational speaking? I’m not criticizing them for trying to make a difference, I’m laughing because a lot of their advice directly contradicts their lyrics. I call them flip-flop artists. Flip-flop artists will touch the hearts of their female followers by sending tweets on the proper ways to treat a lady. This of course just before releasing a single that boasts their ability to throw stacks at strippers. Flip-Flop artists turn the other cheek and inspire their followers to take the high road when it comes to their haters. Then, they release a song featuring a profanity laced message to their own. I am not a prude and I happen to enjoy hip-hop music, but when it comes to loving an artist– they have to be real.